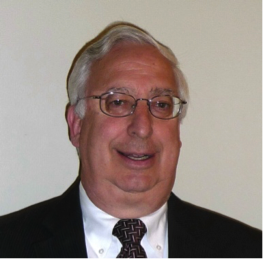 Bob has over 45 years of experience in the design and installation of Intelligent Transportation Systems including both hardware and software for a wide range of ITS devices and systems. He has been active in the “Connected Vehicle” program and continues to be active in the ITS standards program in both the US and internationally with ISO TC204. He is a member of the SAE DSRC working group, co-author of the International Standard for the Vehicle-Infrastructure messaging standards, is a member of the NTCIP working groups for Traffic Signal Controllers (NTCIP 1202 V3), and the NTCIP protocol working group (NTCIP 1102 V3); Note that all of these standards are essential for the Connected Vehicle Infrastructure deployment. He is also a member of the Advanced Transportation Controller working group and co-chairs Advanced Traffic Controller Cabinet committee. He is currently TransCore’s project manager for New York City’s traffic management systems which includes more than 12,700 traffic controllers on an all wireless network, the implementation of integrated control for their ITS devices, integration of Adaptive Traffic Signal Control, and the implementation of a city-wide Transit Signal Priority system which uses central control without the costly field infrastructure. He is the Concept Development Lead for New York City’s Connected Vehicle Pilot Deployment Project recently awarded by USDOT to demonstrate the benefits of the Connected Vehicle technology. He received both his Bachelors and Masters Degree in Electrical Engineering from MIT.